This is Australia’s best bridge holiday at one of Queensland’s most luxurious resorts. The staff at the Sofitel Noosa Pacific Resort have gone into special training, the Hastings Street shops have ordered in extra stock and John Roberts is preparing fascinating new lessons for a week of good bridge and good food. With the Noosa River on one side, and Noosa’s fashionable Hastings Street on the other, the Sofitel Noosa Pacific Resort is perfectly positioned to enjoy the best Noosa has to offer. The beach on beautiful Laguna Bay is just across the road and the Noosa National Park is a short walk away. The spacious Studio Rooms at the Sofitel each have a private balcony, kitchenette and a marble bathroom with separate spa bath and shower. All rooms come with air-conditioning, ceiling fan, mini-bar, coffee maker, safe, complimentary internet access and cable television with in-house movies. The hotel has the usual five-star facilities and guest services, including a large heated swimming pool, state-of-the-art fitness centre with sauna, several bars, 24-hour room service, an internet lounge and bottle shop. A full range of beauty and health treatments is available in the hotel’s luxury Aqua Day Spa. Breakfast, lunch and dinner are served at the Noosa Beach House Restaurant and Bar featuring wonderful food by renowned chef and Noosa resident Peter Kuruvita. Adjacent to the resort there are elegant boutiques to visit and wonderful restaurants to try. On Hastings Street you can buy everything from T-shirts and swimwear to designer outfits and expensive jewellery. Also close to the hotel there are a number of outdoor cafés and superb restaurants offering a full range of gourmet experiences. There is plenty to see and do in and around Noosa. Noosa National Park is just a ten-minute walk from the hotel. Nearby attractions include the Noosa Everglades, the Great Sandy National Beach with its coloured sands and beautiful Fraser Island. The hotel’s concierge can book tours and activities, including golf at one of the five nearby golf courses. The bridge holiday is suitable for players of all standards with fascinating intermediate lessons and friendly duplicates. There is plenty of bridge with lessons most mornings, duplicates most afternoons and duplicates every evening. You can play as much or as little as you wish. There will be players coming on the holiday on their own so you can always turn up to a session without a partner and have a game. For players who wish to learn some new strategies there is a series of four interesting intermediate lessons. The duplicates will all have pre-dealt boards and hand records. Masterpoints will be awarded in all sessions, including red masterpoints in some events. Prizes will be awarded to session winners. The program also includes a cruise on the Noosa River, lunch at the waterfront Pier 11 Restaurant at Noosa Marina, a trip to the Eumundi Markets and a final-evening gala seafood buffet dinner. At the final-evening dinner one lucky player will win a free bridge holiday to Noosa in 2020. The prices of $2295 per person twin or double and $3140 single include return airfares with Virgin Australia from Sydney, coach return transfers from the Sunshine Coast Airport, accommodation in a Studio Room at the Sofitel Noosa Pacific Resort, and meals, bridge sessions and lessons described in the holiday program. If you are providing your own flights and transfers, or driving to Noosa, the holiday prices are$1945 per person twin or double and $2790 single. 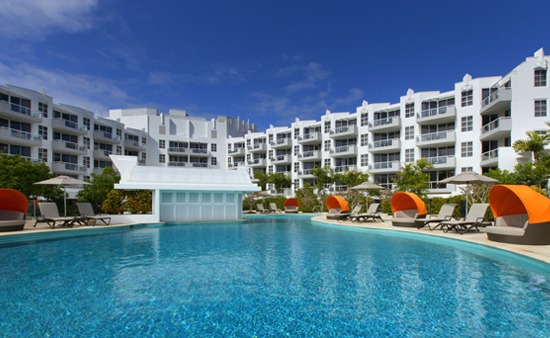 The hotel has one-bedroom Pool Villas and one-bedroom Noosa Suites from an extra $201 per night. Accommodation for players wishing to stay before or after the holiday is available from $308 per room per night. If you are not playing bridge subtract $300 from the holiday prices. If you are not staying at the Sofitel the holiday cost without flights, transfers and accommodation is $895. A deposit of $300 per person is required when booking. Final payment is due by 29 March 2018. Deposits are fully refundable for cancellations by 28 March 2019 after which cancellations will incur loss of deposit plus any cancellation charges levied by Virgin Australia and Sofitel.